In this enhanced episode of Life Below Zero, there are no guarantees for Alaskans during the grim winter. 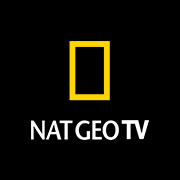 In this enhanced episode, the inhabitants of the Arctic must rely on traditional methods and their surrounding trails to gather resources for their survival during dark winter. In this enhanced episode, wicked conditions force Alaskan residents to plan for the worst or risk losing everything as the seasons shift in the Arctic. In this enhanced episode, a boundless work ethic allows Alaska’s residents to expand their horizons and thrive in the extreme conditions. Alaskans use a window to collect resources before the thaw. In this enhanced episode, Alaskans travel off the beaten path to hunt and gather key resources during springtime’s thaw. Alaskans deal with the dangers due to changing conditions due to the summer’s endless sunlight. Alaskans take advantage of round-the-clock sunlight to harvest resources needed for the approaching winter season. Summer’s open waterways are a lifeline for Alaskans, helping residents to prepare for the winter that lies ahead. Alaskans must overcome exhaustion and injury as they work to stay ahead of the freeze. Alaskans must race against the clock to complete their summer harvest or risk being left unprepared when winter’s wrath returns. In this enhanced episode, Arctic summer is ending and Alaskan must secure provisions from the land before the deadly conditions of dark winter return. In this enhanced episode, Alaskans prepare for the harsh battle ahead as the days grow shorter in the Arctic.